Hack. Hustle. Design. 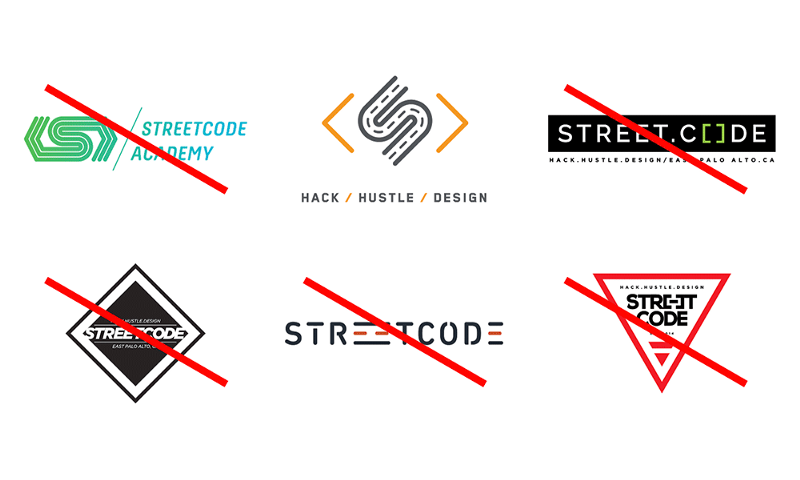 Streetcode Academy believes these are the key components for a wider, better future. A future that doesn’t just include the rich, fortunate, digital native, uber-educated, English speaker, or people of specific color born in certain places. These components are meant to invite every person to seek a greater future. That’s why on July 21st, we invited Streetcode to bring their students to Zooka and learn the what’s, why’s and how’s of an ad agency in the 21st Century. 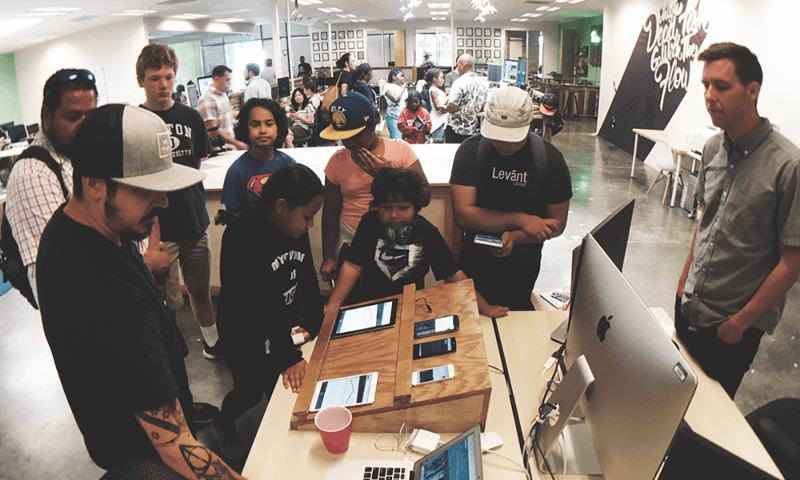 Streetcode Academy recognizes, diagnoses, and occupies the distinct lack of accessible high-tech training for youth and young adults in communities of color. 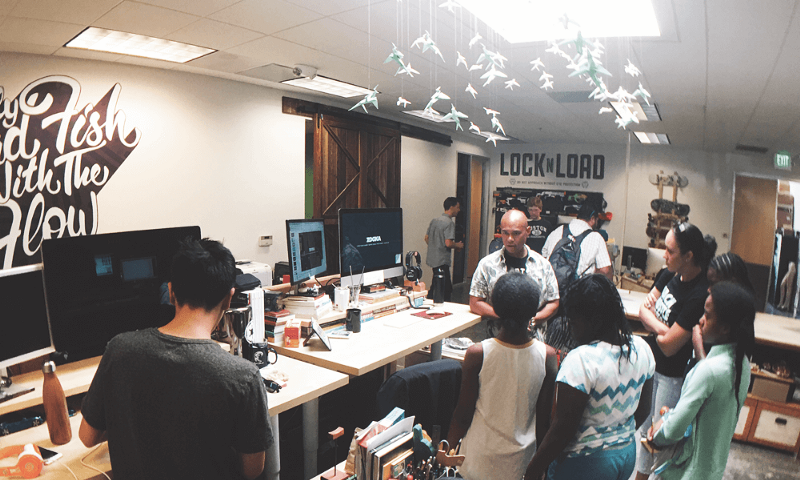 They combat this by offering free, high-quality tech education classes in coding, entrepreneurship, and creativity. We wished to give back to those communities and help Steetcode in their mission. From young children to ESL adults, dozens of eager faces attended several mini-classes created by our different departments. Our designers, led by Art Director Sean Lopez, gave quick lessons on design principles, walking students through the design process of a sample logo we created just for them. This process includes the often painful step of eliminating weaker ideas to discover what’s strongest. 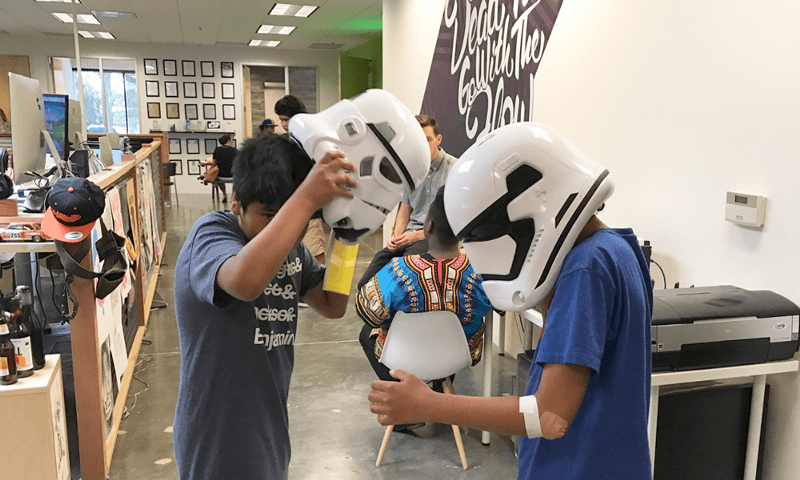 Our virtual reality team described the unique potential of VR, giving everyone the chance to walk the virtual plank of our mixed reality experience. 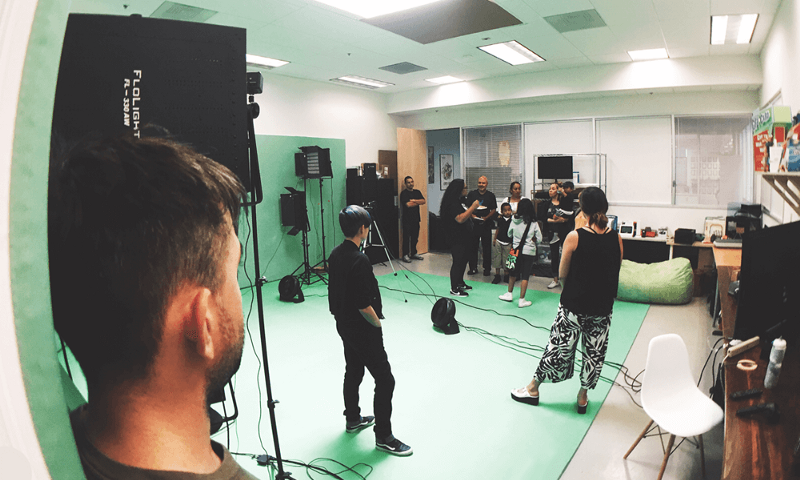 Over the course of the afternoon, our visitors learned about everything from design and VR, to content and social media, to branding and web development. Many asked smart, thoughtful questions about our processes and strategy. Some told stories about their struggles with the quickly and ceaselessly changing landscape of technology. But everyone left with smiles and the hope for a better, brighter future. This post originally appeared as a blog with Zooka Creative. Hear from Steve Decker, Zooka’s head honcho at the VMA Design Conference, June 15, as part of AIGA’s SF Design Week. http://designconf.vma.bz/wp-content/uploads/2018/05/HackandHustle.png 392 696 Barbara Silverman http://www.metalatitude.com/designconf/wp-content/uploads/2018/01/logo2_white-1.png Barbara Silverman2018-05-16 17:08:172018-05-18 11:21:54Hack. Hustle. Design.